September is already shaping up to be a huge month for us here at Take Back the Sky, and no, I’m not talking about the fact that our second anniversary was on September 6 (though it is hard to believe it’s been two years since we first put out that call to convince Elon Musk to name SpaceX’s first manned Dragon spacecraft Serenity). I’m referring, of course, to the fact that SpaceX has been in the news a lot these past few weeks, and tonight (well, technically early tomorrow morning) they’re really going to grab some headlines with another resupply mission to the International Space Station. Tonight’s launch of a Dragon capsule to resupply the ISS comes just days after NASA’s September 16 announcement that SpaceX has been chosen along with Boeing as a recipient of the Commercial Crew (CCtCap) contract to send astronauts back into space from US soil for the first time since the end of the Space Shuttle program in 2011. 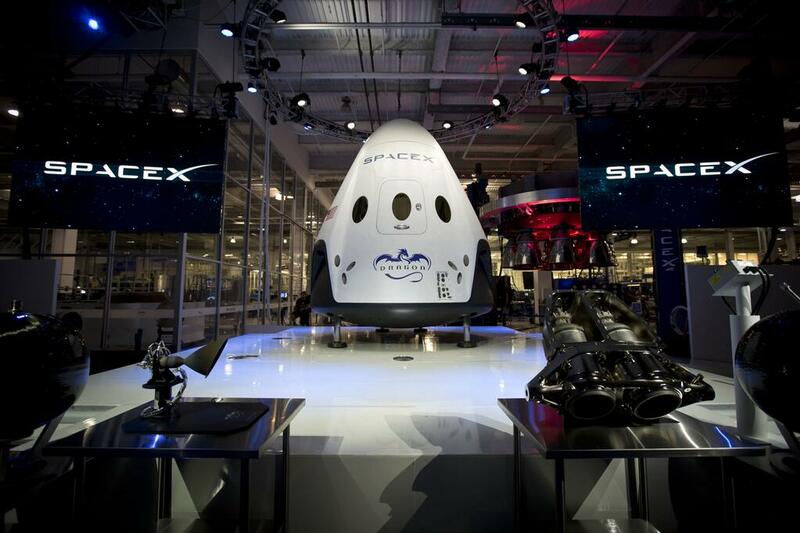 SpaceX will receive 2.6 billion dollars to develop and launch its manned Dragon, otherwise known as the Dragon V2 or Dragon Crew, and will fly between two and six missions to the ISS starting in 2017. This is the Dragon V2, which will launch from American soil and carry US astronauts into space as early as 2017. We hope that when she does, she’ll bear the name SERENITY.